Porter Hospital seeks a BC/BE Internal Medicine physician for outpatient only opportunity to join hospital affiliated practice. The group is expanding to meet the needs of the practice and community. No ER call; however, there is a current practice call requirement of 1:4. Area doesn't qualify for Visa support. Porter Regional Hospital, located in Valparaiso, Indiana boasts 301 private rooms, advanced technology, and an innovative patient-centered design philosophy. Porter Regional Hospital, it’s outlying centers and the adjacent 60,000 square foot Medical Plaza is committed to medical excellence and patient centered care. Porter's inpatient and ambulatory programs are accredited by Joint Commission and continue to be recognized nationally in multiple areas including award winning centers of excellence by American Heart Association, Blue Cross and Blue Shield, and the Leapfrog Group on quality and clinical safety practices; HealthGrades, and most recently, the Society of Chest Pain Centers. 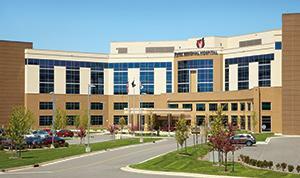 For more information about Porter Health Care System and Porter Regional Hospital visit Porterhealth.com. A full continuum of specialized services are available, including Emergency/Trauma, Cardiology, Primary Care/Family Medicine, Oncology, Obstetrics, Pediatrics, Neonatal Intensive Care, Orthopedics (including a Joint Replacement Center and Spine Center), and Acute and Outpatient Rehabilitation. The communities within Porter County offer a unique blend of lifestyles from rural to metropolitan to suburban…to in-between! Valparaiso is conveniently located 45 miles from Chicago, 35 miles from the resort communities of Michigan, and 15 miles from the breathtaking Indiana Dunes State Park. The education system provides excellent public and private schools, as well as universities and colleges. Indiana ranks among the lowest housing and living expenses in the nation!